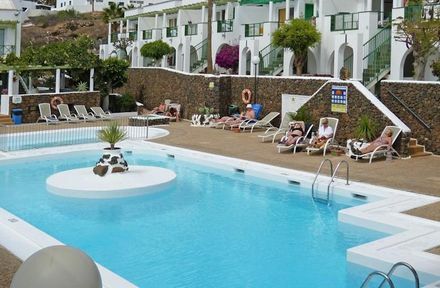 The Guacimeta Apartments is ideally located in the Matagorda area of Puerto del Carmen on the sunny island of Lanzarote. This 2 key property is excellent for couples and families with 58 spacious studios and one bedroom apartments, all with modern amenities. The apartments are in a nice location, close to all the restaurants which are just a short walk away. The apartments were small but clean. The pool had plenty of sun beds but it could do with some umbrellas. The manager and staff were all friendly and very helpful. There is a small restaurant on site where you can eat in or take to your room if you wish. Every Saturday they have a BBQ where you can eat as much as like all cooked by the nice little chef. All in all the stay was enjoyable met some nice people and will definitely go back next year. Hotel tip: Small apartments but very clean. Nice staff, good location with plenty of restaurants to choose from all within a very short walk. Short transfer from airport.